Here are a few upcoming opportunities to learn about, engage with, and support local Native American communities. They include a “Birch Bark Biting” Art Demonstration, an Ice Cream Social, a Sacred Medicines and Gardening Workshop, and a request for donations of sewing supplies to help with a shawl project for young students at the American Indian Magnet School in St. Paul. Mazinibakajige — The Art of Birch Bark Biting: You are invited to a discussion and demonstration with birch bark artist Denise Lajimodiere, Turtle Mountain, Tuesday evening, May 17th at All My Relations Gallery, 1414 E Franklin Ave, Minneapolis. The discussion starts at 6 p.m. but come early for refreshments. The event is free and open to the public. Denise will discuss her efforts to preserve the art form, as well as her time spent as a Native American Artist-in-Residence at the Minnesota Historical Society. 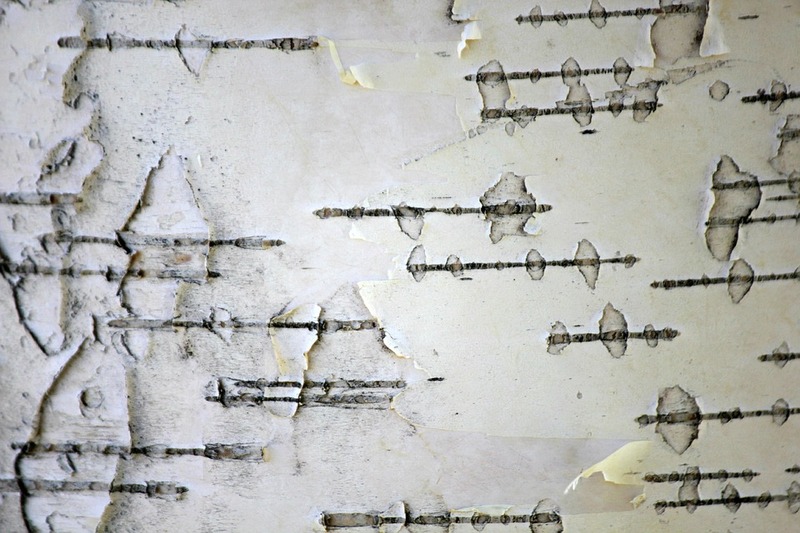 Historic examples of birch bark bitings from the MNHS collections will be on display. For more information, see the Facebook announcement. Ice Cream Social: A group of Native American organizations are sponsoring an Ice Cream Social for the entire community, Thursday, May 19, 1-4 p.m. at the Minnesota Chippewa Tribe Building, 1308 East Franklin Avenue, Minneapolis. “Good eats, Great fun,” the flyer says. What more need be said? Sponsors are: Bois Forte Urban Office, Dakota Language Society, Dream of Wild Health, Healing Place, Mille Lacs Urban Office, National Indian Council on Aging, Wicoie Nandagikendan, and White Earth Urban Office. Sacred Medicines and Gardening Workshop: On Saturday May 21, from 10 a.m. to noon, Dream of Wild Health is hosting a workshop on sacred medicines and gardening. It will be held at the the Mashkiikii Gitigan garden, 1316 East 24th Street in Minneapolis. The focus of this workshop is planting and growing tobacco, and basic garden starting tips. This is a free workshop and organizers will provide snacks, tea and coffee. For more information, call the office at 612-874-4200. Dream of Wild Health is a 10-acre organic farm outside of Hugo devoted “to help American Indian people reclaim their physical, spiritual, and mental health. We teach the old ways of growing food and living healthy lives.” Mashkiikii Gitigan Garden (Ojibwe for medicine garden) was started by a group called the 24th Street Urban Farm Coalition. American Indian Magnet School Seeks Sewing Supplies: This request came across a Native American listserve: “We are going to make shawls for our preK/K students here at the American Indian Magnet school this month. If you have any sewing supplies that would be helpful in this area we would be very grateful.” The shawls are made of lightweight fabric about 1 yard pieces with a fringe of 1/4 or 1/8″ with ribbon for fringe or prefringe trim. They are decorated with applique using wonder under type fusible bonding paper. Colored threads are nice too, fabric paints, shiney materials for decorations, all will be greatly appreciated. You can drop off supplies at the American Indian Magnet School, 1075 Third Street SE in St. Paul, or Pow Wow Grounds Coffee, 1414 E Franklin Ave, Minneapolis, and they will get picked up.